Let’s Color! app is loaded with hours of coloring fun and opportunities for creative thinking. We decided to buy the full version as it is well worth the small price! The free version has in app purchase buttons so parents – watch your safety settings. The “buy” button on the page is for the free app, then you can go in and buy the rest in one purchase. For my grandson, it was desirable and a good buy to get the whole version. This gives your kids 34 pages to color every which way but loose. It is very intuitive and once you color in the page – hit the “Go” button and see it come to life! Kids can save pages and email them to others as well. 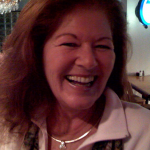 Twitter and Facebook are possibilities to share too – it is up to you to set the guidelines. 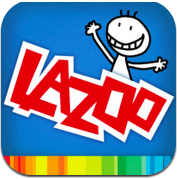 This app is presented to us by Lazoo Worldwide, Inc. Let’s Color! Comes in Japanese, English, and French.